The Colt .12g Airsoft BBs are low-cost competition-grade projectiles designed for accuracy and high velocity. The Ultrasonic polished finish increases speed by up to 10%, while tight tolerances improve target accuracy. These green BBs are a great choice for spring, CO2, and green gas airguns. Jar includes 5,000 rounds. 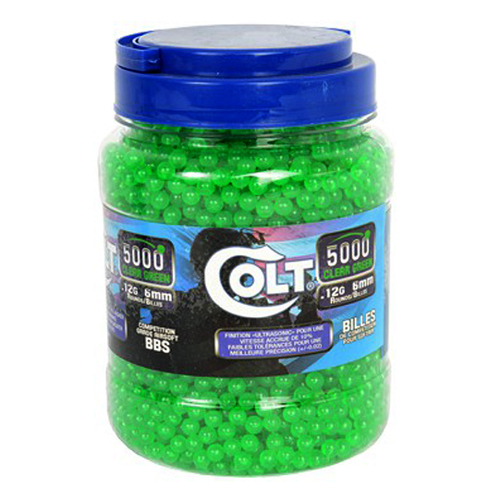 Package includes: Colt .12g Airsoft BBs - 5000 ct.